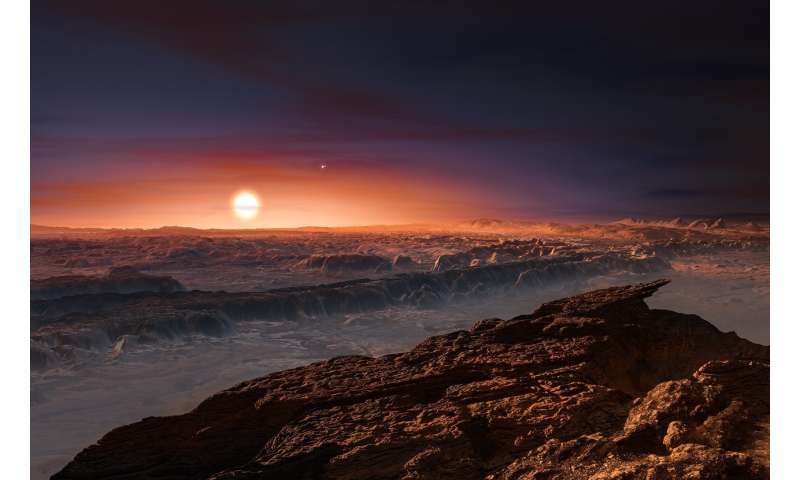 In August of 2016, astronomers from the European Southern Observatory (ESO) confirmed the existence of an Earth-like planet around Proxima Centauri – the closest star to our solar system. In addition, they confirmed that this planet (Proxima b) orbited within its star's habitable zone. Since then, multiple studies have been conducted to determine if Proxima b could in fact be habitable. Unfortunately, most of this research has not been very encouraging. For instance, many studies have indicated that Proxima b's sun experiences too much flare activity for the planet to sustain an atmosphere and liquid water on its surface. However, in a new NASA-led study, a team of scientists has investigated various climate scenarios that indicate that Proxima b could still have enough water to support life. 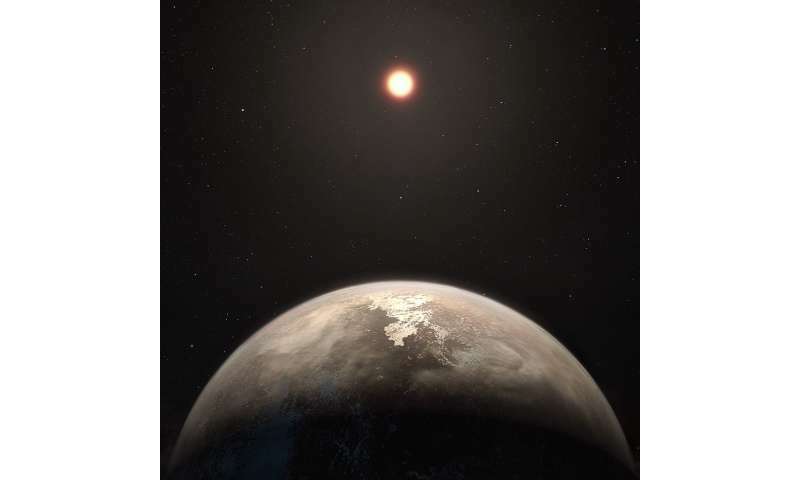 The study, titled "Habitable Climate Scenarios for Proxima Centauri b with a Dynamic Ocean," recently appeared in the scientific journal Astrobiology. The study was led by Anthony D. Del Genio of NASA's Goddard Institute for Space Studies (GISS) and included members from the NASA Goddard Space Flight Center (GSFC), Columbia University, and Trinnovim LLC – an IT company that provides institutional and mission support for the GSFC. To break it down, planets like Proxima b – which orbit M-type (red dwarf) stars – face a lot of challenges when it comes to habitability. For one, its close orbit to its star would have likely led to a runaway greenhouse effect early in its history. It would also be subject to intense radiation (X-ray and extreme ultraviolet fluxes) and solar wind – which would lead to catastrophic atmospheric and water loss. "First and foremost, we don't know whether Prox b even has an atmosphere, and if it does, whether it has any water. Without those, life as we know it cannot exist. It could be the Prox b formed initially with no atmosphere, or that it formed with an atmosphere but in a stellar system that was water-poor. Or it could have formed with a modest atmosphere and lots of water. Or it could have formed with a very thick atmosphere. We just don't know yet. "Second, Proxima Centauri is an M star, or 'red dwarf.' These stars are much smaller and cooler than our sun, so a planet has to be very close to such a star for it to receive enough starlight to have a habitable climate. The problem with that is that M stars tend to be very active, throughout their lifetimes." "Third, in their early lives, M stars are very bright and hot, meaning that if Prox b started out habitable, it might have heated up and lost its water early on, before life had a chance to take hold." Flare activity is an especially big concern when it comes to Proxima Centauri, which is variable and unstable even by red dwarf standards. In fact, in recent years, two particularly powerful flares have been spotted coming from the system. The second was so powerful that it could be seen with the naked eye, which indicates that any planet that orbits Proxima Centauri would have its atmosphere stripped away over time. However, as they indicate in their study, there are many possible scenarios in which Proxima b could still support life. What's more, there is a range of uncertainty when it comes to the things that are hostile to life that could provide Proxima b with some wiggle-room. According to Del Genio, these include the possibility that Proxima b formed farther away from its star and gradually migrated inward, which would mean it was not subject to early harsh conditions. Second, it might have formed with ten times the water that Earth did; so even if Proxima Centauri's harsh radiation stripped away 90% of its water, it would still have enough water to have an ocean. It also could have formed with a thick hydrogen envelop which could have been stripped away, leaving behind a "habitable core" of an atmosphere. "We just don't know," said Del Genio. "Thus, to provide reference points for future observers, we imagine that it does have an atmosphere and water, and we ask, given the star it orbits and the distance from that star, how easy or difficult is it to imagine an atmosphere and ocean that together could produce habitable conditions at the surface (defined as warm enough to sustain liquid water but not so warm as to evaporate it all)." To address these possibilities, Del Genio and his colleagues conducted a series of 3-D simulations using the Resolving Orbital and Climate Keys of Earth and Extraterrestrial Environments with Dynamics (ROCKE -3-D) software. As a planetary adaptation of the NASA GISS Model E2 Earth Global Climate Modelling software, ROCKE-3-D has been used to simulate past and future periods in Earth's history and a potentially-habitable ancient Venus. Using this software, the team modeled a range of different types of potential atmospheres for Prox b, which included a Earth-like atmosphere (dominated by nitrogen with small amounts of CO2 to warm the planet) and a more Mars-like atmosphere (pure CO2). They also considered if its atmosphere would be thinner or thicker than Earth's, its oceans more or less salty (as well as deeper or more shallow), and whether or not the ocean covered the entire planet. "For each configuration that we imagine, we run a 3-D global climate model that is adapted from the Earth climate model that we use to project 21st Century warming due to the addition of greenhouse gases to the atmosphere by humans. The key feature of our climate for this purpose is that we include a "dynamic" ocean, i.e., an ocean that has currents that move warm water to cooler places. Previous studies of Prox b had used a 'statis' ocean that warms and cools but does not move." From this, Del Genio and his colleagues found that every case they could think of produced a planet that had at least some surface liquid water. 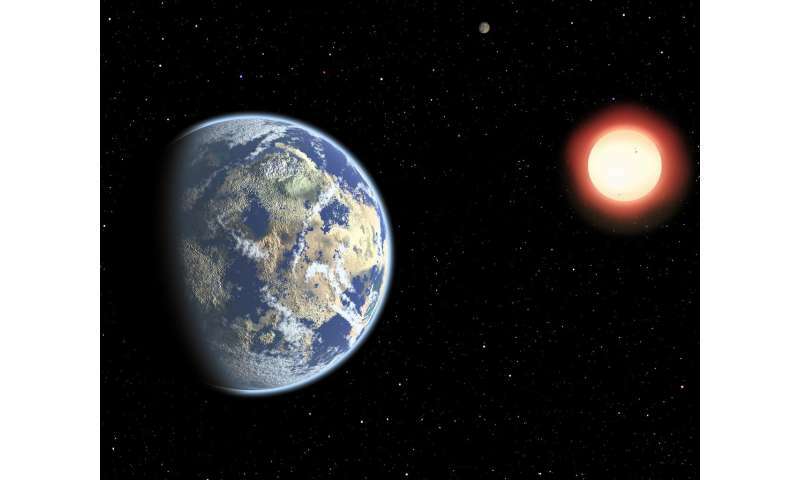 They also found that in the case of a tidally-locked planet, heat transport between the sun-facing side and dark side could also allow the whole planet to be habitable. "So if it has an atmosphere and has water, Prox b has a pretty good chance to be habitable," said Del Genio. "We also found that the ocean currents carried warm water from the dayside to the nightside, keeping parts of the nightside habitable even though they never see any light. And if the ocean is very salty, almost the entire planet could be covered by liquid, but with temperatures below the usual freezing point almost everywhere." "Unfortunately, as viewed from Earth, Prox b does not seem to transit, which makes it harder to detect an atmosphere and tell what is in it. However, in the fairly near future, astronomers will be able to monitor the heat emitted to space by Prox b as it moves in its orbit. Our results show that it should be possible to distinguish a planet with an atmosphere from one without, and a thin cold atmosphere from a thick warm atmosphere." It could also extend to other rocky planets that orbit M-type (red dwarf) stars, which is even more encouraging. Given that these stars account for over 70% of the stars in the Milky Way galaxy alone, the likelihood that they support potentially habitable planets increases the odds of finding extra-terrestrial life significantly. In the coming years, next-generation instruments are expected to play a major role in the detection and characterization of exoplanets. These include the James Webb Space Telescope (JWST), the Wide-Field Infrared Survey Telescope (WFIRST), and ground-based instruments like the Extremely Large Telescope (ELT) and the Giant Magellan Telescope (GMT). And you can bet some of their time will be dedicated to studying the closest exoplanet to Earth!